Citi’s global operations and supply chain — comprising thousands of suppliers and a presence in nearly 100 countries — present an enormous opportunity for positive impact on the communities where we live and work. From increasing supplier diversity, including with women- and minority-owned businesses, to minimizing the environmental effects of our footprint, we work to manage these areas responsibly and efficiently. 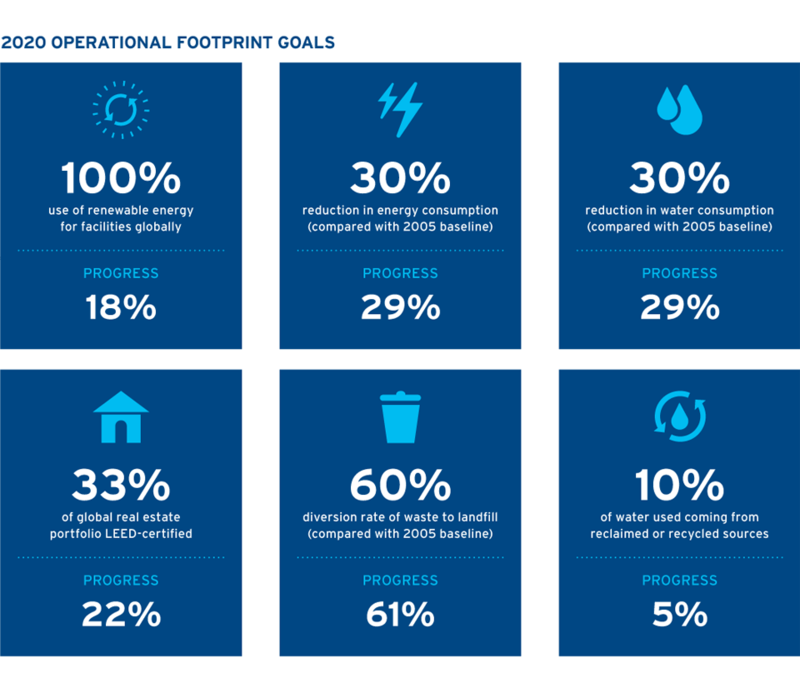 In 2017, we reinforced our commitment to environmental sustainability with the announcement of a new goal to become carbon neutral by 2020 — using 100 percent renewable energy to power Citi’s global energy needs across all our facilities. We also continued to implement our Corporate Responsibility Questionnaire, available in 14 languages, which helps us evaluate suppliers’ management of a range of social and environmental issues. Supplier diversity is another important priority for us, and in 2017, we pledged to procure an additional $100 million from women-owned businesses over the next three years, especially from firms located in developing markets. Recognizing the connection between environmental sustainability and employee well-being, Citi will benchmark our design guidelines against wellness standards to elevate wellness alongside LEED considerations. We will also continue to minimize environmental impact across our operations, evaluating and using technology to solve sustainability-related problems. As we strive toward our 2020 goal to use 100 percent renewable energy for our facilities, we will continue to secure renewable energy contacts, incorporate onsite generation and look for innovative solutions where renewable power is not readily available. We will also address water consumption in our own operations as it remains a critical global issue. In our supply chain, we will continue our efforts to bolster supplier diversity by improving our internal processes and strengthening our external partnerships. We will also prioritize efforts to meet our Sustainable Progress Strategy supply chain scorecard goals, including continued implementation of our CRQ and relevant training for our employees and suppliers.